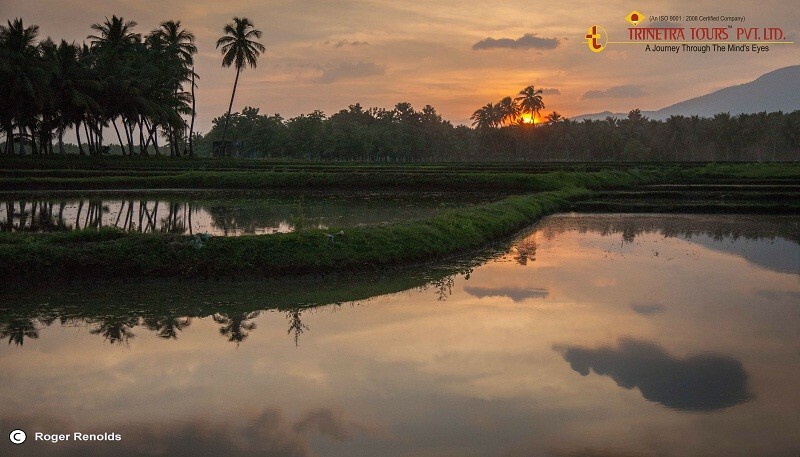 Ever wondered why the beauty of Kerala is so flawless and pure? We have been delving into this question ever since we have received some marvelous pictures from one of our esteemed guests Mr. Roger Reynolds. The man has successfully executed numerous photographic expeditions around the world with pictures that you would probably die for. On his recent trip to Kerala Tours with Trinetra. he has captured each frame that would brilliantly narrate stories without speaking a word. 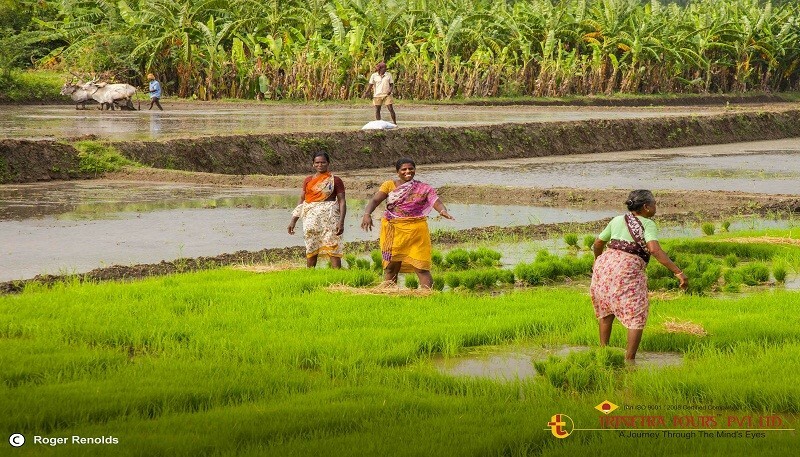 A world where there is an indefinable amount of light, lush green paddy fields, happy people, and a lifestyle where modernity has still not found its wings. We are excited to unravel this world for you where hard work is still a form of physical well-being, and smiling is a way of life. 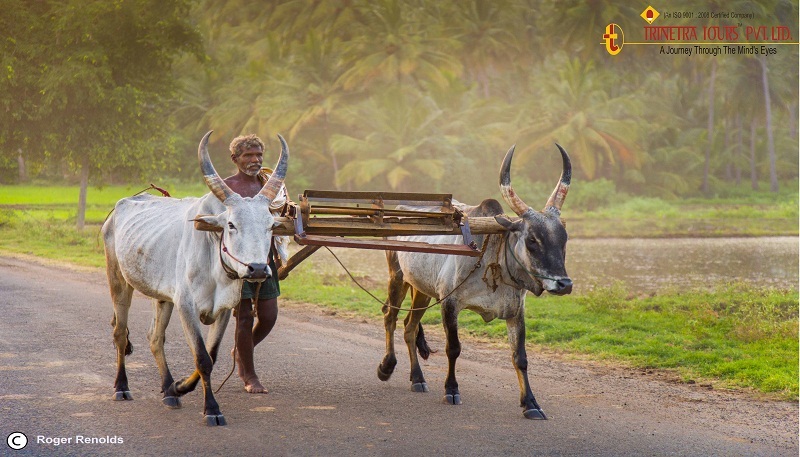 Here, people don’t have dark circles or wrinkles on their faces, they have lived their life in its truest form….. and perhaps this is the reason why Kerala is a dreamland for photographers. Such a place where the basic fundamental elements of photography are naturally taken care of which includes light, color, composition, etc. Like in this picture, you can see that the photographer is naturally gifted a dream-like backdrop of setting sun. You just need to follow the instincts of nature. Of course, your imagination and love for nature will only better the picture. Also, the man here has not tried to tempered with the gifts that nature has lovingly bestowed to this part of the world, rather he has nurtured its surroundings night and day. 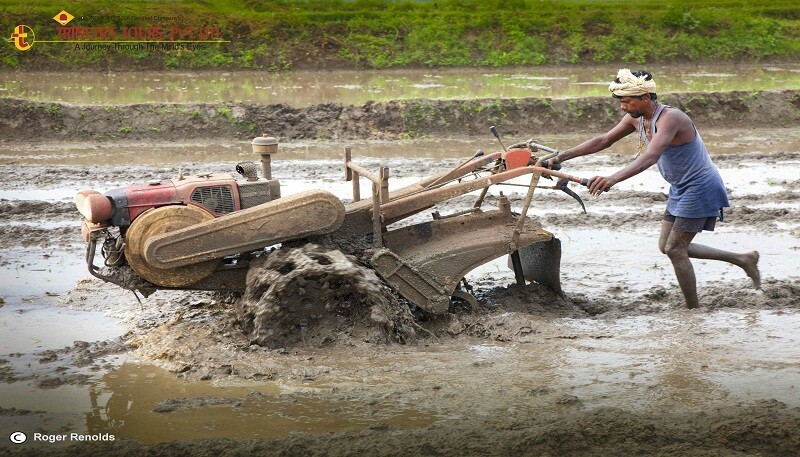 Just like soldiers who fight at the border, we admire the endless hardships that our farmers go through every day – so that we eat well. Thanks to Mr. Roger who have captured Kerala’s offbeat panorama, and by whom we have been able to get a human face to God’s own country. If one wants to experience beyond the backwaters, sceneries, and luxurious houseboats just email us at tours@trinetratoursindia.com .We would be more than happy to share the information with you.